Gary Player Open Champion 1959 Muirfield signed 10x8 inch photo. 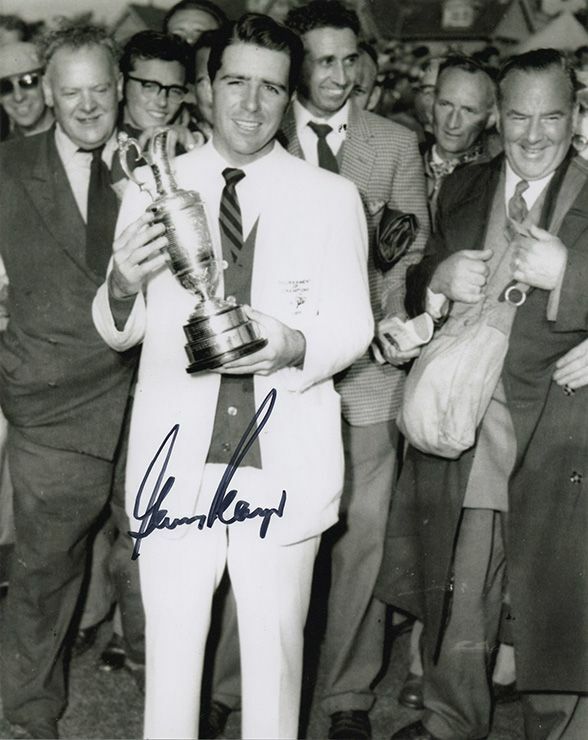 Gary Player, Open Champion 1959 Muirfield, signed 10x8 inch photo. 10x8 inch b&w photo personally hand-signed in black sharpie pen by South African golf legend, Gary Player, pictured after his victory at the Open Championship 1959 Muirfield. Player is regarded as one of the world's greatest ever golfers. He has won more professional tournaments than any other player with 166 wins, including 9 majors. He won the Masters in 1961, 1974 and 1978, the British Open Championship in 1959, 1968 and 1974, the US Open in 1965 and the US PGA in 1962 and 1972.